Tina also Breeds Boxer Dogs therefore the Centre does Not allow Dogs EXCEPT for Show Days. TFEC will have First Class Facilities for both Horse & Rider and activities to suit everyone. Olympic Show Jumping Arena with a Full Set of Show Jumps inc Water Trays & Great Fillers. ditches, banks, drops & dykes, hedges, brush fences, corners, carts, houses, skinnies, owl hole and steps. 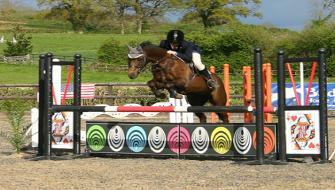 Show Jumping, Dressage, ODE, Arena Eventer's Challenge, Showing & 2 Phase.